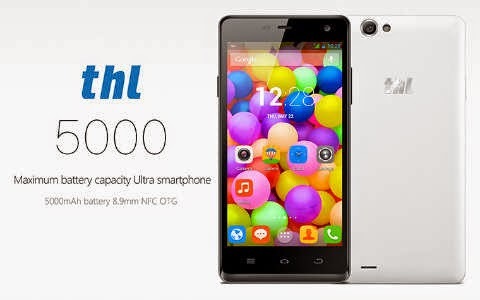 THL announced its new smartphone offering with more juice of battery to power the device - the THL 5000. The Chinese manufacturer named the phone after its 5000mAh silicon anode Li-polymer battery. This latest technology promises users 1000 hours of standby time, 47 hours of calls, 11 hours of web-browsing, 125 hours of music play and 11.6 hours of video play. The new handset gives us just the right size for a nice grip, with a 144.9mm x 72.3mm x 8.9mm (8.9mm thick) dimension. The svelte form factor is quite impressive knowing that devices of this caliber have thicker depth. The phone is expected to be released this June, but the availability in the Philippines is not yet known. The price will be around $300.